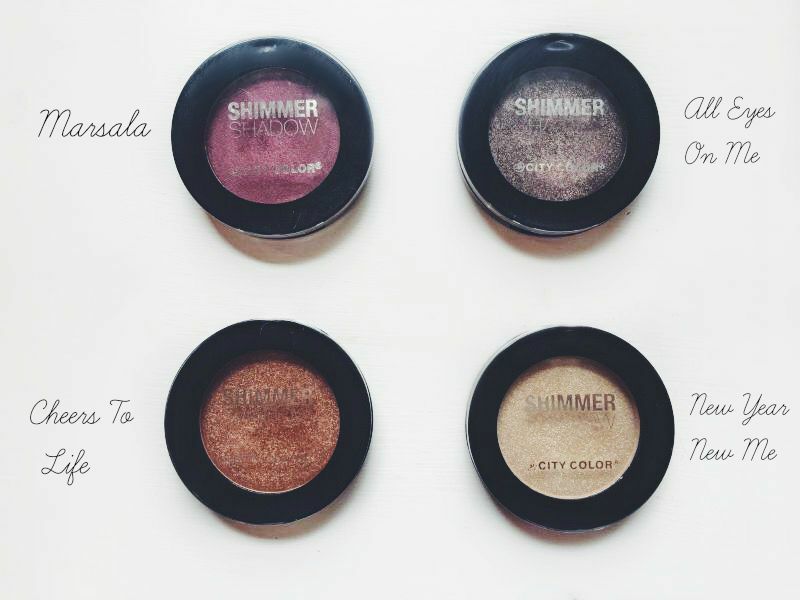 Todays post is going to be about the NEW City Color Cosmetics shimmer eye shadows that just recently launched. 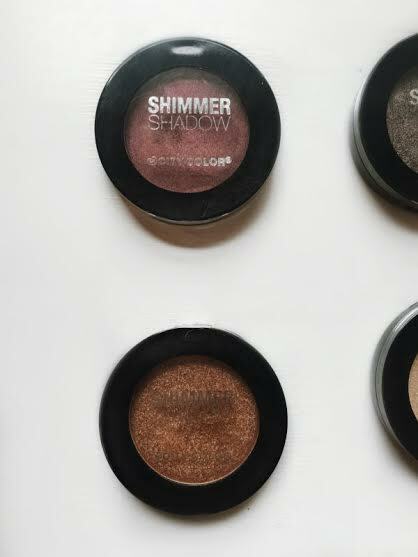 I felt like these eye shadows needed to be talked about! 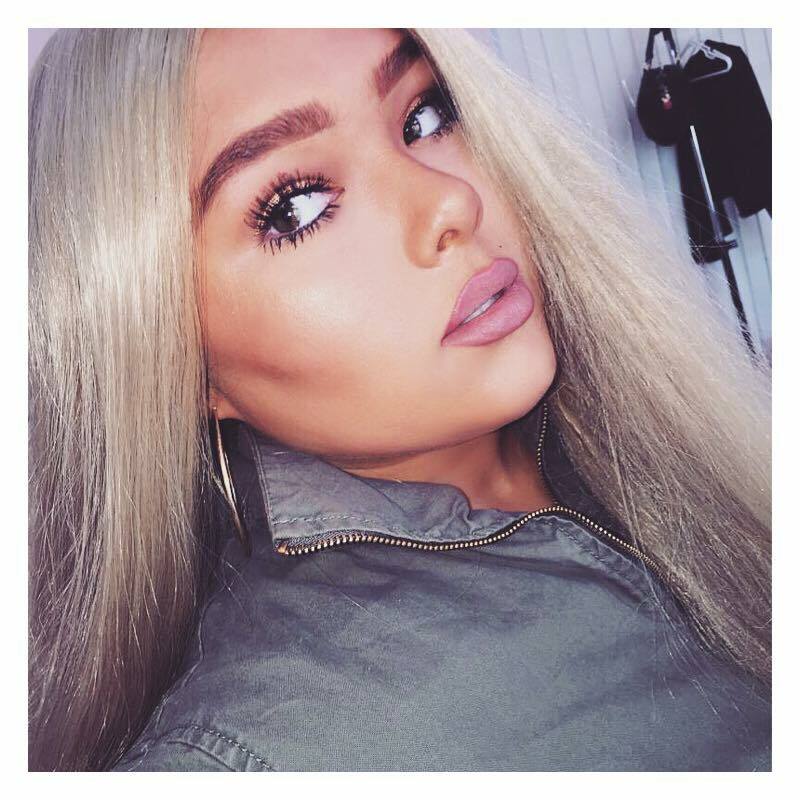 They have a really different formulation to them and that's what makes them so unique. 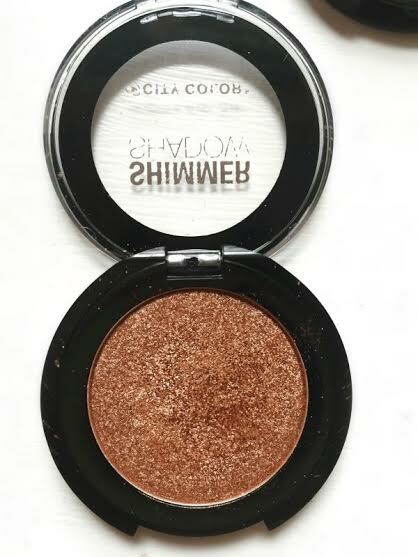 So first things first these shadows go for $6.99 on http://citycolorcosmetics.com/eyes/eyeshadow/shimmer-shadows/#.VeQ-8C3n-P8. 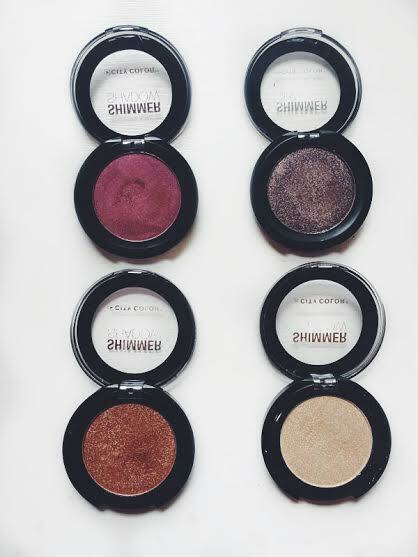 They have a 16 color shade range, and are probably the most pigmented six dollar shadows you will ever purchase in your life. 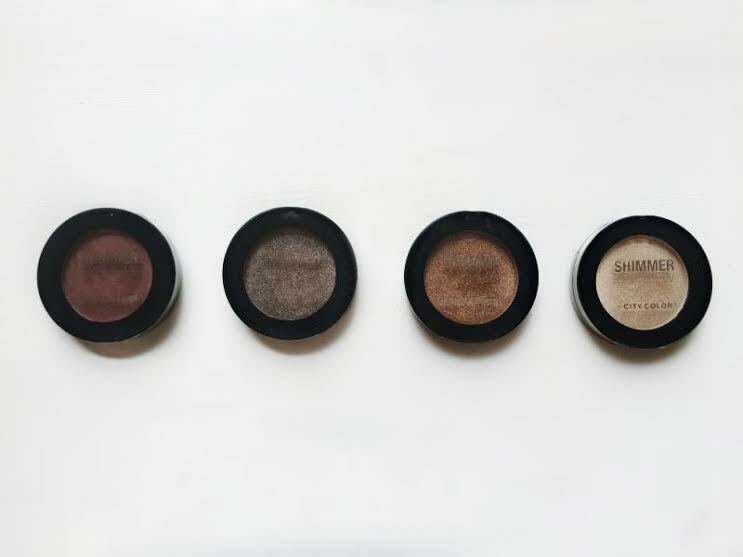 Now speaking of pigmentation lets get into the formula and what makes it so unique... 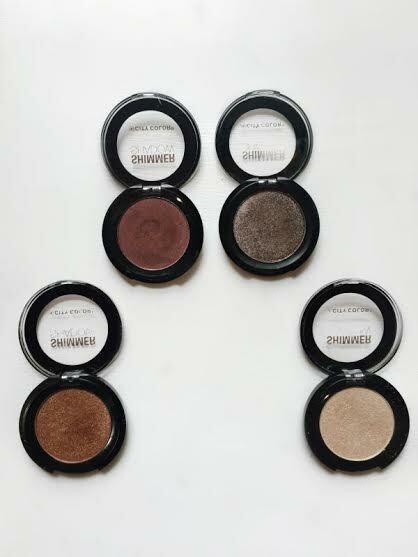 So first thing to note is these are massive shadows, a normal MAC Cosmetics eye shadow is 1.3g / 0.04oz while a City Color Shimmer Shadow is 3.65g / 0.129oz. That's a big difference! 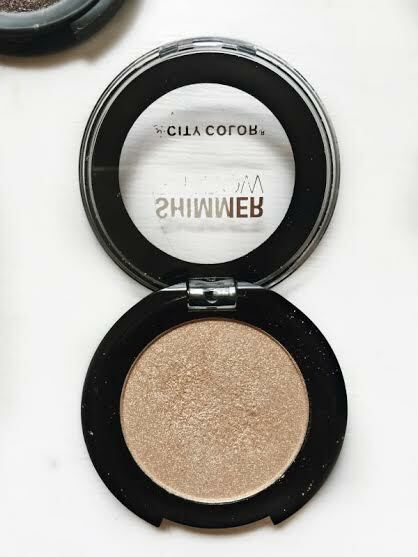 Getting in to the actual formula, when I first swatched these I almost thought they were cream shadows! 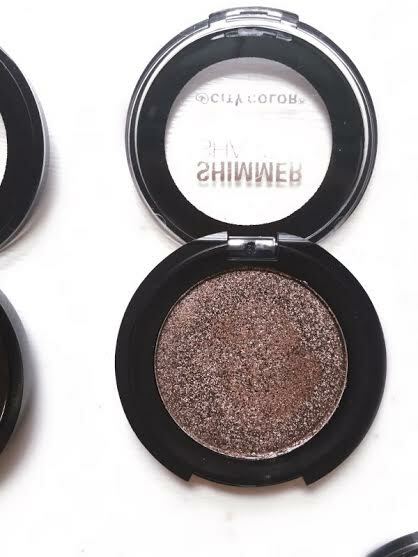 They are so incredibly pigmented and buttery for a powdered shadow its actually super unique. 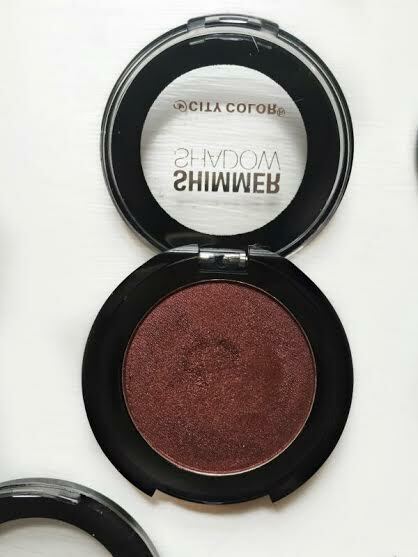 These also apply on the lid beautifully, like I said the pigmentation on these are unbeatable and make for a super stunning look. Also can we talk about the colors?! They are SO fall appropriate and gorgeous. 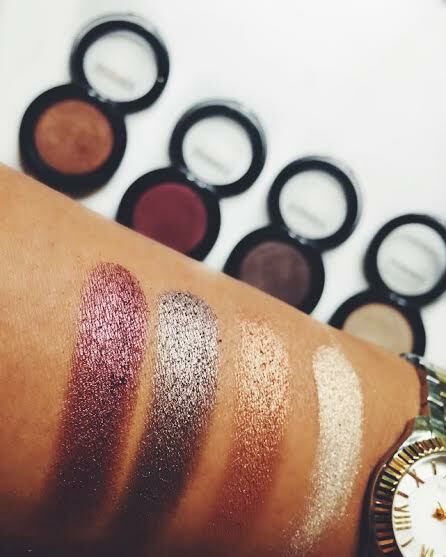 The four I went a head and swatched for you guys are literally the perfect fall colors, such a must have! Here I have on "Cheers to Life"